The stage was set, the lineup looked promising and crowds started flooding in at the Big Church Day Out at Stanford Hall near Loughborough. We had our tickets for a couple of weeks and were looking forward to checking out such a massive festival. Our only concern was the torrential downpour that was forecast for the best part of the day. 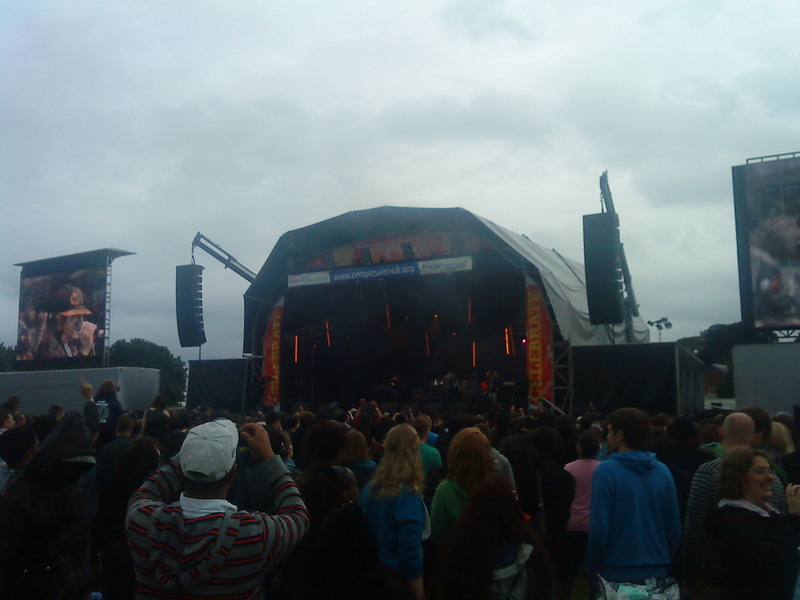 Luckily the rain held off and we were able to start off the day watching Guvna B on the B Stage. Although I’ve seen him a good number of times now, Guvna B is always exciting, energetic and fun to watch on stage. He had us kingdom skanking in no time in the almost sunshine. There were also a few other acts we managed to catch including Monique Lawson, Trent and Tom + Olly on the B Stage and Tim Hughes on the Main Stage. But it was when TobyMac took to the stage that we were blown away. We hadn’t seen him live before so we didn’t know what to expect but he really brought his A-game to the main stage and brought the house down. He opened with one of my hot tracks of the moment – Tonight and rifled through a few more huge tunes including Jesus Freak, Funky Jesus Music and City On Our Knees. TobyMac is an artist you must see live. Next up on the Main Stage was Israel Houghton. Being a fan for a long time, it was great to see him live. There was a good mix of old and new stuff and the band was impressive. The day was headlined by Hillsong United. Right at the start of the set, the heavens opened. Unfortunately I mean this in the meteorological sense of the word so I had to draw for the kag in a bag after all. The sun had set, the lights were on and it was a perfect way to end the day. Those guys really know how to lead worship. A special shout out to all the people we spoke to in the Marketplace and everyone at the tea tent because it was a huge tent that served tea. What’s not to like? Tea is ace! Next Post Tedashii – Live!